Samoa - "Go and make disciples of all nations . . . teaching them"
Samoa is a group of islands in the South Pacific about half way between Hawaii and New Zealand. The population is less than 200,000, but there are more Samoan outside of the Samoan islands that on them, especially in New Zealand, Australia, and the United States. Most of the population is Christian, and 8% is Assembly of God. 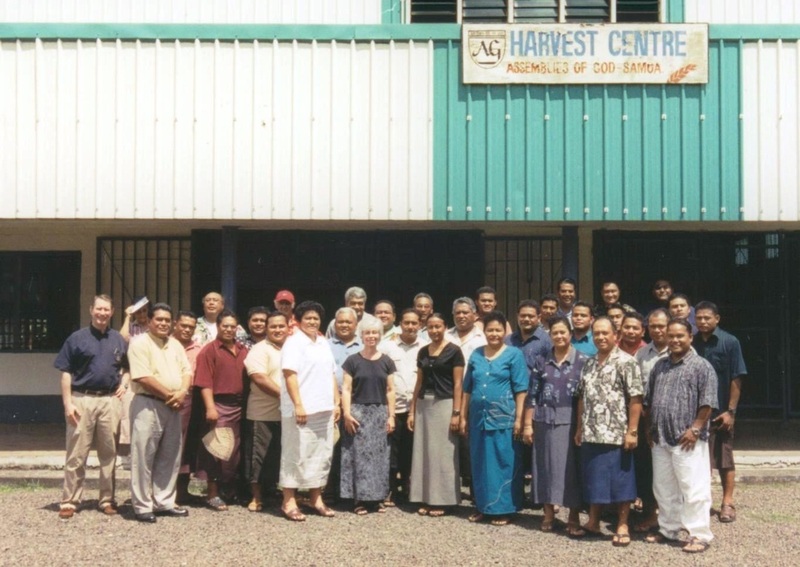 It was a pleasure ministering and teaching an APTS Extension course at Harvest Bible College in Apia in 2004 and 2015.